Home/Media/Analytics/Data, Analytics, and Insights – Where is the Value? The truth about analytics is that most businesses have significant progress that still needs to be made in order to become fully solutions-oriented and insights-driven. 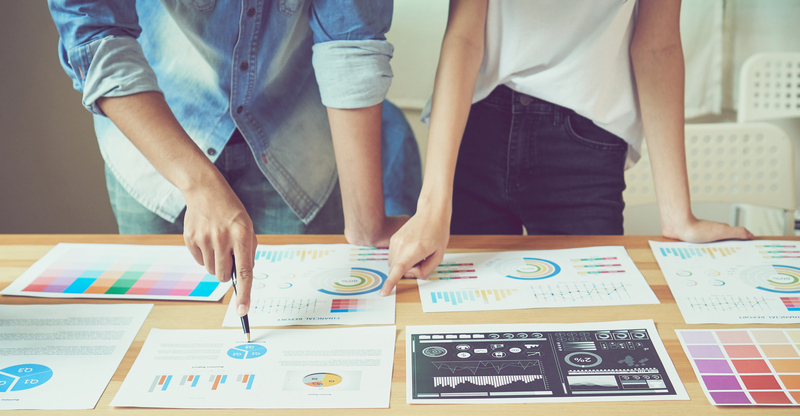 A study conducted by Dun & Bradstreet and Forrester Research concluded that 52% of companies are letting data dictate marketing strategy and decision-making. Beyond that, while over 70% of companies strive to be data- and insights-driven in their business approach, only 29% are actually successful at connecting analytics to meaningful actions. So, why is that? An overwhelming majority of the challenges companies face in the analytics space are due to data management issues as the amount of data and information continues to increase at a rapid pace. Data can be an obstacle versus an asset in cases when you have more data than tools, processes, and/or time to support the generation of actionable insights using that available data. This leads to internal and external roadblocks and holds companies to reactive thinking as opposed to proactive thinking using data. What is the missing link? Actionable insights will be the primary differentiator that will take businesses to the next level. A common misconception is that data, analytics, and insights all mean the same thing; but, nothing could be further from the truth. Data and analytics piggyback off one another, which ultimately helps to deliver deeper understanding and meaning tied to key metrics (read: insights). These insights can’t be generated without the process of applying analytics to data. Data is the information you collect or are basing the measurement of success off as a source. This could be anything from demographic or behavioral information to KPIs from digital marketing platforms. It could even be sales or profitability by store location or new patient totals across service lines depending on the company or industry. Analytics is the discovery of ongoing or seasonal patterns and trends that you interpret as you dig deeper into the data available at your fingertips. This is where you will identify what is working, what isn’t, and why. The “why” factor is probably the most important piece of that equation. “Why” is the key to critical thinking, which allows for meaningful and innovative insights as you explore all potential causes or correlations in a data set. Insights are the valuable conclusions or recommendations that you derive from a data set. An insight is the understanding of a specific cause and effect within a campaign, or a new understanding that will spur change or action when it comes to decision-making and thinking for businesses. It is important to use the data in the smartest way possible and to understand that simply stating a metric (i.e. the CTR was 0.2%) is useless without context and relational action. This can include measurements against campaign goals, timeframe comparisons, and industry benchmarks. Clients and partners should not be provided information that could simply be read off a PDF. Value is shown when you can make them think about their business in a way that they haven’t thought of before or in a way that can increase success against their own objectives. Value is what will keep relationships intact and actionable insights can help drive that forward. This overarching data and insight challenge is directly impacting client relationships, as separate research from InsightSquared and Heinz Marketing concluded that only 41% of marketers are satisfied with the analytics and reporting support currently being provided by partners and vendors. The only way to move from hindsight into foresight and be more prescriptive with analytics is to really ensure that innovation and efficiencies are part of data management within an organization, and that every insight will directly correspond with an action in the form of an optimization or a change in thinking or process. A lack of actionable insights could translate into a perceived lack of involvement and engagement both with your internal data and with anything you’re managing for a client. Long story short: That’s not good. What challenges have you faced when it comes to generating actionable insights and providing value to internal stakeholders, clients, and partners?